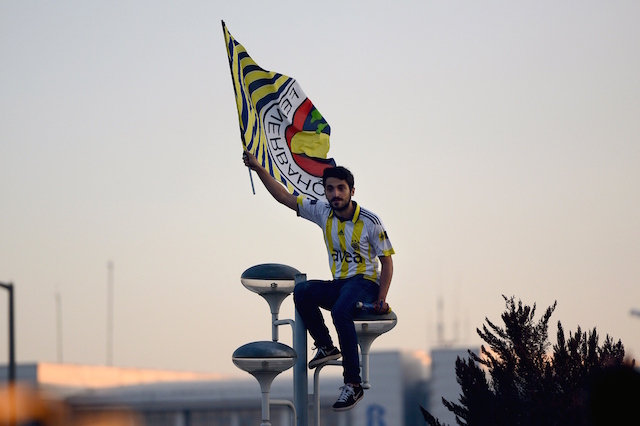 Fenerbahce take on rivals Galatasaray at the Sukru Saracoglu stadium on Sunday, April 14. Kick-off for the Intercontinental Derby is scheduled for 5pm UK time. The match will not be broadcasted live on UK TV but is available on beIN Sports Turkey and will also be shown in Italy, Portugal, South Africa, Greece, Romania, Serbia, France, Russia, Poland, Austria, Israel, Azerbaijan and Brazil. Galatasaray head into the derby knowing that a win would close the gap with league leaders Basaksehir to just three points. Basaksehir ended up getting beaten 2-1 by Besiktas in the Istanbul derby on Saturday. The Lions have no major injury concerns but are without defensive duo Christian Luyindama and Marcao. Fenerbahce meanwhile are without Mehmet Ekici who is injured. The Yellow Canaries have been in poor form this season but have not lost at home against Galatasaray sine 1999-2000 in all competitions. Fenerbahce: Harun, Dirar, Skrtel, Serdar Aziz, Hasan Ali , Mehmet Topal, Tolgay, Eljif, Valbuena, Moses, Soldado.